Richard Vester, director: Cloud Services, EOH. There is a joke doing the rounds in which an executive, talking on the phone, tells his listener that he's done his analysis and the cloud has no tangible value for their organisation. "I'll share my report on Dropbox," goes the punchline. Funny, but true: if your personal lifestyle involves connectivity, you are somehow interacting with a cloud ecosystem. If you have a smartphone and require generous data regimes, you are already wedded to it. But that reality is a bit slower on the business front. This is not to suggest cloud technologies are not performing: the global cloud software market was valued at between $22 billion and $49 billion last year and pegged with a 20 percent growth rate. Developed markets are often praised for their eager adoption of cloud, and that's something not as readily seen in the rest of the world, South Africa included. The perceived gap can sometimes raise eyebrows. "Four years ago, I was surprised when one of my early projects was moving accounts to a hosted exchange. There is definitely a sense that South Africa loves to test new technology in the rest of the world before adopting it," says Jonathan Young, Cloudware product manager at Turrito Networks. "Four years later, people are using cloud every day, but they don't realise it. Cloud is here and it's our job to get people there as fast as we can." The statement summarises a general consensus around Brainstorm's roundtable. The technology paradigm has arrived and focus is shifting to how quickly it is being adopted - and what is holding it back. Yet opinions quickly diverge around what is and should be driving cloud in the country. Local cloud adoption is definitely on the rise: many resellers and vendors have remarked on big shifts in uptake over the past 18 months. Brad Love, MD of Network Platforms, notes a growing understanding of the concept, but feels connectivity is still a barrier: "Many clients understand the key benefits, such as cost savings, on cloud. But uptake is lagging because of connectivity. There is a long period to wait for fibre and other connectivity pipelines." As 2015 drew to a close, what is the state of cloud? He regards this as a short-term problem that is already shifting: "We are definitely seeing an uptake through connectivity thanks to falling costs and when we see the next drop in pricing, especially for the last mile, I think there will be another acceleration in cloud adoption." 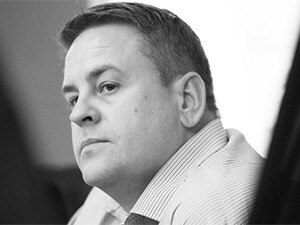 Grant Morgan, GM: Cloud at Dimension Data MEA, is less certain that connectivity still creates much of a barrier. Instead, he sees the problem as cultural: many local companies don't appear to understand the innovation seachange cloud offers or they fear the changes it brings. "The earliest adopters of the cloud were the big innovators," says Morgan. "I think South African companies have lost a bit of their edge in terms of their need for big innovation. Cloud is massively transformational - it's changing entire industries, because transformation is what drives the engine of cloud. A lot of our clients engage cloud for cost savings, but cloud is really about agility and driving innovation. I don't know if we've February 2016 brainstorm 55 seen as much innovation in South Africa as we're seeing worldwide." Innovation is used regularly to underpin the necessity for cloud adoption. Current vendor and reseller talk often leans toward how companies merge their old IT with newer cloud IT (coined by Gartner as a 'bimodal' approach). But much of the local market is still grasping at an older rung, says Vodacom Business' executive head: Cloud and Hosted Services, Nkosi Kumalo. "Most of the meetings I attend around the cloud are not triggered by the need to be agile or different. It's always about cost," he says. "We (vendors and resellers) bring agility into the discussion, but I've never had a customer who said, 'Listen, I am retailer X - retailer Y is doing better and I want to do better than them. Can cloud help me?'" Leane Hannigan, Cloud Solutions director at the Westcon Group, agrees: "Vendors out there have been living and breathing cloud. 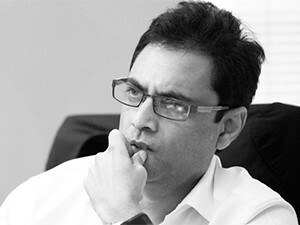 Then we go to market with products, which straight away is the wrong thing because cloud is all about the solution." It will only make sense when we see more money, better solutions and new innovations. But the perceptions around cost outweigh the reality, argues EOH's director: Cloud Services, Richard Vester: "I don't think it's saving costs in terms of infrastructure. If you buy infrastructure as OPEX spend or deliver it as a service so it's CAPEX spend, over a period those figures may be very similar. Where you save money as an organisation is if the service provider has the right tools to deploy workloads, disaster recovery and the correct replication of services. All of these things reduce time, introduce agility, free staff and those sorts of things." This is a shift from previous narratives: cloud is often punted for its savings and low cost of ownership. But cloud models over time come to match traditional infrastructure spend. Instead, the new mantra is: it's not what you have, but what you do with it. The cloud market is now arguing that you may pay the same, but get to do more. Justin Elms, senior product manager: Infrastructure, Vox Telecom. But even that depends on where in the cloud journey a company finds itself. The discussion makes it evident that the market is having all of the above conversations. For example, portfolio manager of Datacentre Services at T-Systems AJ Hartenberg's experience contrasts with Kumalo's: "A lot of my discussions across different sectors are around innovation. Customers are asking, 'How do I get to that next layer of engagement with my own customers?'" But he adds that budget concerns hold a lot of sway. Companies want to shrink costs while also tapping into new market vectors. Yet the narrative is stubbornly leaning towards innovation, because it's inevitable. An explosion in local cloud service providers has forced these companies to stand apart through new offerings. "There is much more choice, which is good for the consumer," says Love. "Of course, it keeps providers on their toes, because you have to differentiate yourself from competitors." He adds that on one of the local vendorneutral datacentres, there may be over 160 providers of cloud services. They certainly won't all survive if they all push the same message to market. A lot of our clients engage cloud for cost-savings, but cloud is really about agility and driving innovation. This inevitably drives the pro-innovation narrative, further emboldened by compliance. Companies are increasingly using the cloud to meet standards in their industry - a trend most obvious among large enterprises. "Compliance seems to be driving a lot of organisations," says Justin Elms, senior product manager: Infrastructure at Vox Telecom, citing the financial industry as a significant example. 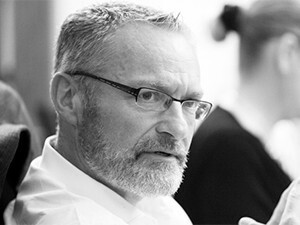 "A lot of standards for industries are developed in Europe and other leading cloud adopters. Firms here look at those documents and want to be able to match that level, but to do so, they need to leverage off cloud. They then become innovative on how they deliver services and processes." 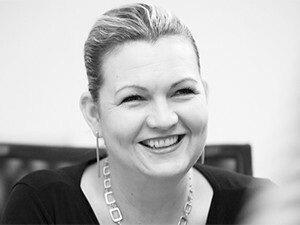 Leane Hannigan, Cloud Solutions director, Westcon Group. Those two statements - local competition and international trends - make it clear that companies can't keep pondering if cloud is for them. It's a question of when and how. The roundtable conversation also brings some consensus around recognising what stage of cloud adoption a company is at: cost appears to be the first stepping stone and innovation arrives as a company's culture matures around the paradigm. The critical difference is whether a company already has a cloud investment. This stimulates a very important change in mindset, says Morgan: "I'm seeing more of a healthy process in companies that move towards new styles of innovation. Cloud allows you to fail fast and cheap." Again the local financial institutions are the apparent trailblazers of this idea, something they picked up as a result of modernising for the sake of compliance. Smaller companies are also adopting such trends, although not through the same drivers. "In cloud, there are two different discussions," observes Indran Naick, Cloud Ecosystems and Enterprise Development leader at IBM South Africa. "One is how traditional enterprises gain cost efficiencies. But studies we conducted in Asia and Africa show it's different. We have those traditional discussions with enterprises, but we also see SMEs and entrepreneurs using cloud as a way to grow quickly." 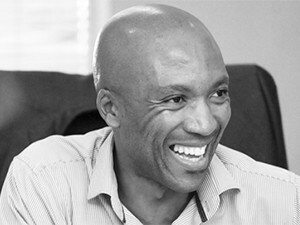 Nkosi Kumalo, executive head: Cloud and Hosted Services, Vodacom Business. It's clear that a taste of cloud is better than no cloud at all. Some attendees raise the point that companies need to mature alongside their cloud environment - the bimodal principle mentioned earlier. But others note this only applies if you already have a cloud environment. It's that first step that appears to be the hardest. An established IT ecosystem can be the main barrier for cloud adoption. Hannigan maintains that it is key to demystify cloud by tapping into personal experiences: "In our personal capacities, we are hugely innovative. We are embracing technology left, right and centre. If we just connect the dots between our personal capacity and business, we'll hit the nail on the head." But Tanya Langbein, Oracle Cloud director at Britehouse, retorts that personal use is not constrained by the same regulations as the business world. As the popular saying goes: nobody ever got fired for buying IBM. The uncertainty of cloud is prompting many IT leaders to rather sit on their hands. And yet moving to the cloud is not an absolute, Naick adds: "We cannot just assume that everyone should move to cloud because it makes more sense. It will only make sense when we see more money, better solutions and new innovations." 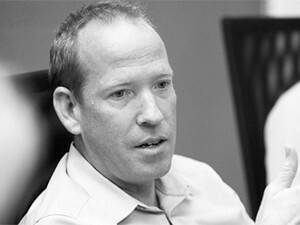 Dave Funnell, manager: VMWare vCloud Air Network, VMWare. So damned if you do or don't? Not really, but the trick is to not focus on the cloud itself. Instead, the virtue of a cloud migration is clearer if technology leaders focus on the parts instead of its sum. This habit extends into traditional ecosystems, says Dave Funnell, manager of the vCloud Air Network at VMWare, which complicates cloud expectations: "I often wonder how many CIOs know how much it costs to deliver a service internally. Do they make an intelligent decision about going to the cloud?" The result is often scope creep - the chronic underestimation of a project's size and costs. Kumalo notes that the fear of this ignorance inevitably impacts cloud projects: "Some clients often aren't honest about what they don't know. You try to create a solution that includes everything, but things don't quite work. For example, the client discovers they don't have the skills to run the new implementations. As the service provider, you have to now be really nice and try to fix that problem. It would be much easier if companies just played open cards and said, 'I know nothing, start by quoting for everything'." He adds that those championing a cloud project may also sell too low a number to stakeholders and then be afraid to go back when more is required. Langbein agrees, adding that there appears to be a rise of demand for low-level briefs from prospective clients: "You kind of have to give them that quote (because they demand it), but it's very dangerous because you are working off a one-paragraph spec." Indran Naick, Cloud Ecosystems and Enterprise Development leader, IBM South Africa. One strategy suggested around the table is to add 50 percent on top of the original quote, particularly if this is the client's first cloud migration. Unfortunately, the competitive cloud environment means many are fighting for business and will succumb to client demands for lean quotes. "This is a long-standing thing and is only becoming more relevant now that cloud is here," says Hartenberg. "But it has always been part of working with CIOs and IT leaders: really grind service providers to get certain things." In summary: tread carefully, but tread you must. Cloud may not usurp your entire IT ecosystem, but it cannot be ignored or avoided either. Still, don't believe all the hype. Instead, take stock of what you know and admit what you don't.